Christmas 2013 seems a long time ago and Christmas 2014 is even further away but this week here’s a little story of a brand character whose catch phrase is just like Santa’s – Ho, Ho, Ho. Who would have thought a tall, lumbering and scowling caveman carrying a huge pea pod would become one of the world’s leading advertising icons. Luckily for the Jolly Green Giant, The Minnesota Valley Canning Company weren’t put off by a poor first impression. The Minnesota Valley Canning Company, which is not the most catchy or memorable name, was founded in 1903 in Le Sueur, Minn and using the latest canning technology started shipping white cream-style corn across the USA. They were reasonably successful and The Minnesota Valley Canning Company decided to try advertising them in an attempt to further drive sales. They decided to develop “Green Giant” character. However in his first incarnation, said to have been inspired by Grimm’s Fairy Tales he did look rather grim. Lumbering and scowling, carrying a giant and very heavy pea pod, he wore a scruffy bearskin. He did not look very approachable or friendly, and in fact wasn’t even green. The results of the first campaign which ran in 1928 for which were, to say the least, disappointing. Leo straightened the Giant’s posture, turned his scary scowl into a sunny smile and clothed him in a light, leafy outfit. He also decided to give the giant a new backdrop — a valley of crops that highlighted the Giant’s height and stature – The Green Giant Valley. The ads started to perform and sales accelerated. Not surprisingly when Leo Burnett went onto open his own agency in 1935, Minnesota Valley was one of its first clients. The Leo Burnett agency kept evolving the giant adding the word “Jolly” to his name. He became so popular that in 1950, Minnesota Valley changed its name to Green Giant Co. But then disaster nearly struck again as the Green Giant was slated to make his television debut. It was not an easy transition. The agency tried treatments both in animation and with live characters, but the Giant did not come across as the friendly protector he was supposed to be. He was once again seen as unappealing and even a little scary. When, in 1961, the Green Giant Company introduced frozen vegetables he appeared with a red scarf to keep him warm. In 1973 he was given an apprentice ‘Sprout’ whose role to help the Giant tend to the valley and ask all the questions that people might want to ask about the giant and his products. The Jolly Green Giant is now one of the most recognized advertising icons of all time, Advertising Age magazine ranked him as the third most recognizable advertising character of the 20th century, behind only Ronald McDonald and the Marlboro Man. There is even a 55-foot fiberglass statue of the Jolly Green Giant, erected in 1979, presiding over his birthplace in Blue Earth, Minnesota! Sweet, light and a moment on the lips – perhaps it’s no surprise why confectionery and kisses are closely associated. It seems to be a global association too… as candy kisses appear in many countries. Three of the most famous are also linked, not only by their names, but by the concept of letters or messages. The oldest of the 3 brands, Kiss Kiss, dates back to 1897 and, although it wasn’t registered until 1901, it is still Finland’s oldest trademark. Kiss Kiss are oval-shaped candies with a light, crispy shell, that are filled with delicious chewy toffee. However, despite the name, the imagery associated with the brand has nothing to do with the pressing of lips. In those less liberal first days of the 20th century, nothing as racy as a man and woman actually kissing could be considered, and so the advertising and packaging featured women playing with kittens, or two kittens playing. These soft, cuddly, cute, caramel kittens established themselves as the core brand icon and became extremely well known, so much so that in 1991 the little “Karamellikääreen” (caramel wrapper) cats appeared on a stamp celebrating the centennial of Finland’s confectionery industry, and no doubt on countless love letters. Across the Atlantic, in 2007, The United States Postal Service also issued a postage stamp that featured a confectionery brand called Kiss. The 39-cent stamp, part of the USPS’s “Love” series, featured a Hershey’s Kiss. 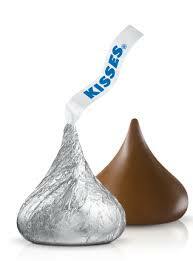 It coincided with the centenary of the brand itself as Hershey’s Kisses milk chocolates were first introduced in 1907. Hershey’s Kisses got their name from the machine that makes them, or more specifically from the sound and motion it made. Workers thought the machine appeared to “kiss” the conveyor belt as each sweet was dispensed, and every time it did it made a noise that sounded exactly like a couple kissing – so the name of the product was never in doubt. Another iconic aspect of the brand, added some years later, is the distinctive paper “plume” that the company uses to communicate a guarantee that consumers are getting the genuine Hershey product, rather than an imitation. This thin paper strip is now a registered company trademark. However, many people believe that the idea for this plume was borrowed from the third of our kisses; made by Italian confectioner Perugina and called Baci (Italian for “kisses”). Baci chocolates are the youngest of our triumvirate of kisses as they only arrived on the Italian market in 1922, 15 years after the founding of Perugina. Enveloped in dark chocolate, the product contains a chopped hazelnut filling and whole hazelnut centre added when creator Luisa Spagnoli needed to use hazelnuts left over from other factory recipes. The little chocolates were reputed to have been used as a clandestine method for delivering love notes between Luisa Spagnoli and her fellow confectioner, Giovanni Buitoni. Little paper scrolls containing “love notes” were soon included inside all of the chocolates’ silver wrappings. Some believe it is this lovely story that may have served as the inspiration for the paper strip used in America on Heshey’s Kisses. So whether it’s chocolate, hazelnut or toffee, a letter, a stamp or even just a plume, it appears that the whole world can’t resist a candy kiss. Footnote: According to some scientists, chocolate may be more passionate than a kiss. Couples in their 20s had their heart rates and brains monitored while they first melted chocolate in their mouths and then kissed. Chocolate caused a more intense and longer lasting “buzz” than kissing, and doubled volunteers’ heart rates according to the research carried out by Dr David Lewis, formerly of the University of Sussex, and now of the Mind Lab. “Over my dead body” wasn’t quite the response that Peter Eio had been hoping for. It was early 1997 and after months of hard work and careful negotiation, Eio, who was chief of the company’s operations in the Americas, had just made his pitch to the LEGO Group’s senior management. 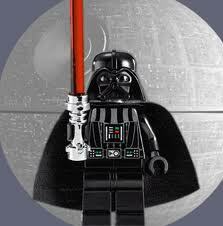 His proposal was that LEGO should partner with Lucasfilm Ltd. to bring out a licensed line of LEGO Star Wars toys. The line would accompany the first instalment of the long-awaited Star Wars prequel trilogy, which was coming out in the spring of 1999. However while many people at Lucasfilm were AFOLs – Adult Fans of LEGO and loved the idea, the senior players in LEGO’s head office in Billund, Danmark clearly weren’t so keen. It was true that the deal would represent a significant change for LEGO. In the past LEGO had avoided partnerships and licensing deals, preferring to always go its own way, eschewing partnerships and licensing agreements. LEGO already had space themed kits. LEGO also continued to embrace one of founder Ole Kirk Christiansen’s core values: to never let war seem like child’s play. The prospect of introducing attack cruisers, assassin droids, and other Star Wars armaments worried many of the senior team. Despite this resistance Eio believed that his “battle” – no his “mission” was to persuade the company to marry the Brick with the Force. For Eio, the most compelling reason to do a deal with Lucasfilm was the danger of not doing one. 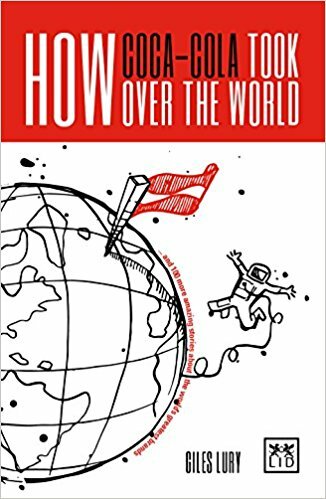 Eio had seen how the United States was becoming a license-driven market and that hit movies and TV cartoon series were spinning off countless licensed products. By the mid-1990s half of all toys sold in the United States were licensed ones. Key competitors like Hasbro and Mattel weren’t avoiding deals but actively pursuing them with the likes of Disney and Pixar. Eio feared that if LEGO didn’t tap into this shift in the market, it would fall helplessly behind. Eio teamed up with Howard Roffman, Lucasfilm’s licensing chief, and launched an internal campaign to convince the LEGO Group’s senior executives that the Star Wars deal was a good one. First step was to ensure that LEGO saw Star Wars as more Ivanhoe than GI. Joe; that despite its futuristic space environment, at its heart it was a classic confrontation between good and evil, with little blood and no guts. The next step was to involve the likely customers – the LEGO buying parents. Together Eio and Roffman arranged a large survey of parents not just in the United States but in Germany, LEGO’s largest and most conservative market. Perhaps not surprisingly parents in the U.S. overwhelmingly supported the idea; but more surprisingly, so did German parents. Even in face of the campaign there was some continuing resistance to the Star Wars deal in Billund. And so finally what was to become one of the most successful partnerships in the toy industry’s history got go-ahead. Launched to coincide with the release of The Phantom Menace, LEGO Star Wars was a staggering hit, was an immediate and huge success, accounting for more than one-sixth of company’s sales. The trademark “Coca-Cola,” which had been used in the marketplace since 1886, was registered in the United States Patent Office on January 31, 1893 so it seems only appropriate to tell a story about that American institution this week. One of Andy Warhol’s most famous pictures is of Campbell’s soup, but clearly he was almost as good with words about brands as he was in depicting them. 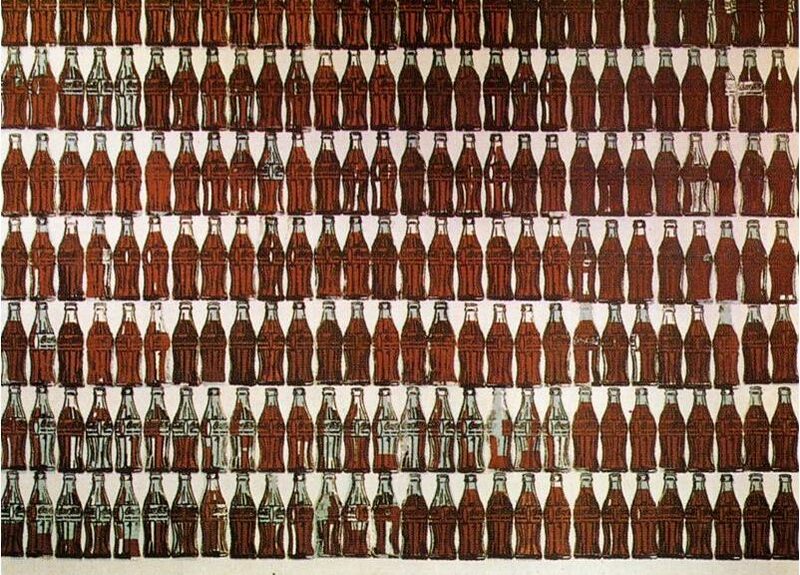 In his 1975 book, “The Philosophy of Andy Warhol” he described part of the appeal of Coca-Cola in the following way. “What’s great about this country is that America started the tradition where the richest consumers buy essentially the same things as the poorest. You can be watching TV and see Coca-Cola, and you know that the President drinks Coke, Liz Taylor drinks Coke, and just think, you can drink Coke, too. A Coke is a Coke and no amount of money can get you a better Coke than the one the bum on the corner is drinking. All the Cokes are the same and all the Cokes are good. And the moral is a strong brand is a unit of social currency. What does your brand mean to and for people?